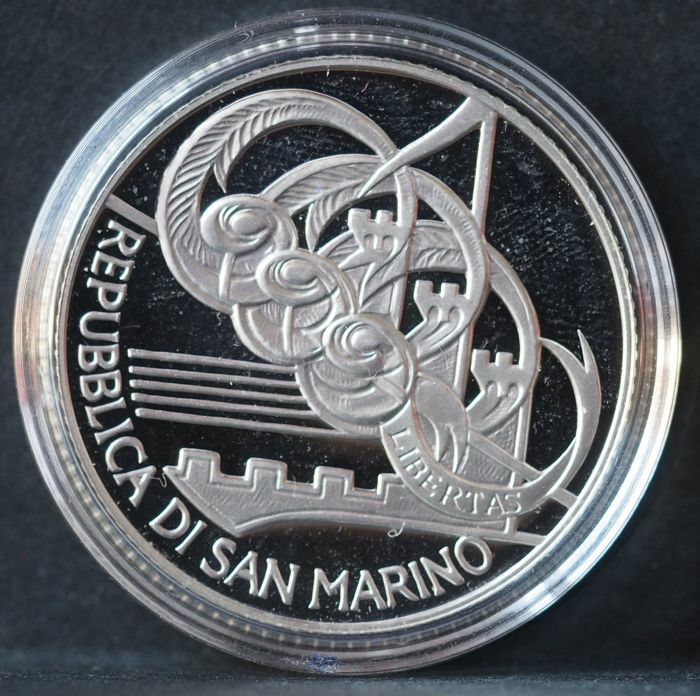 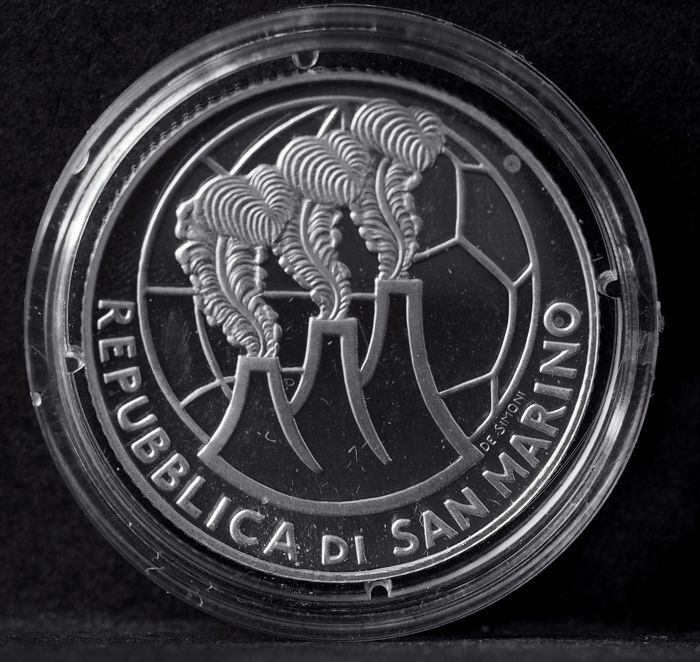 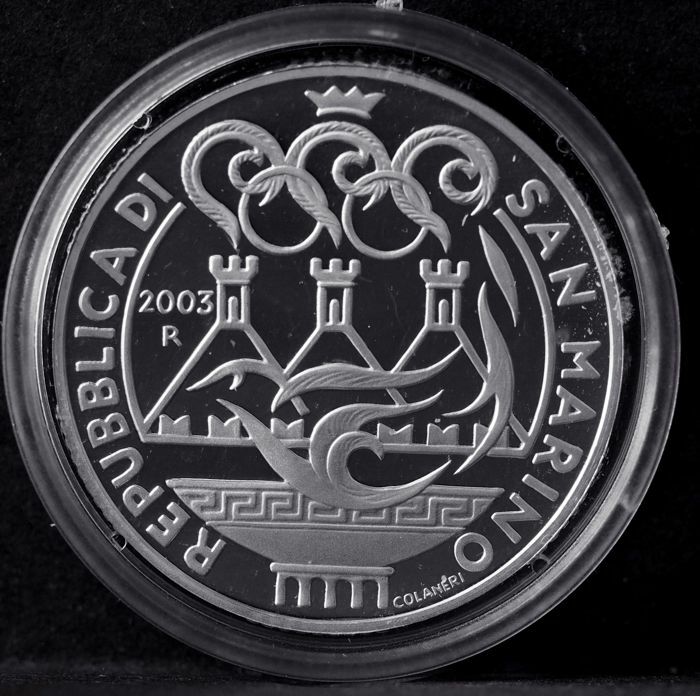 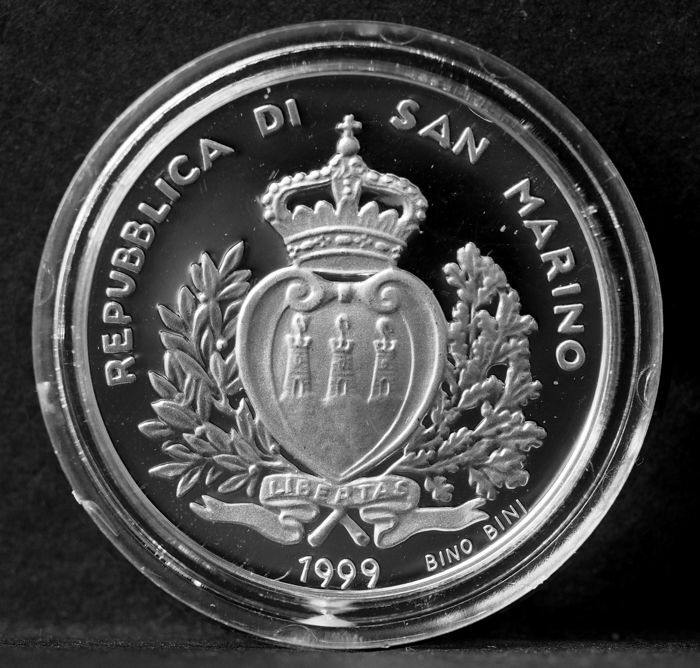 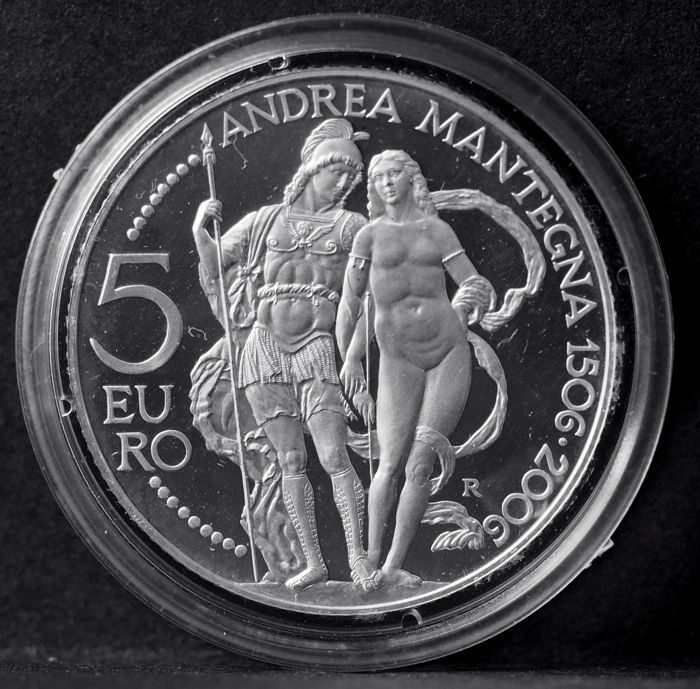 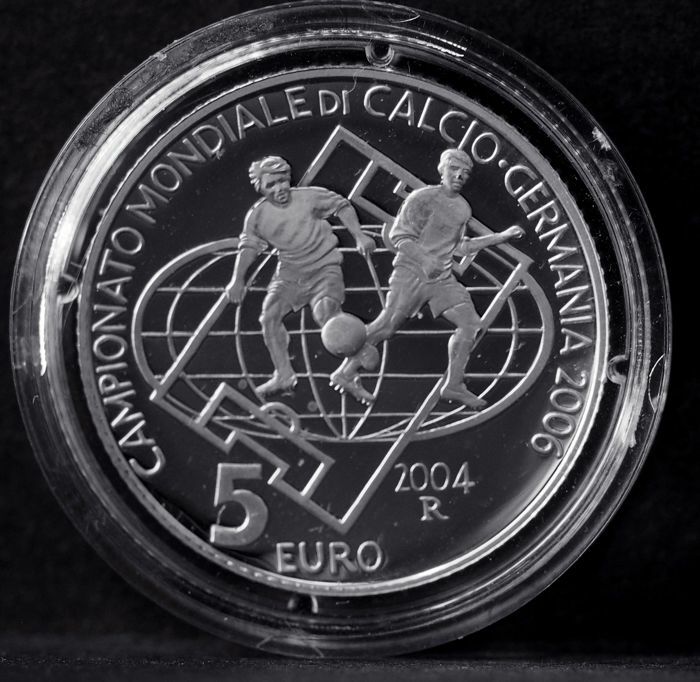 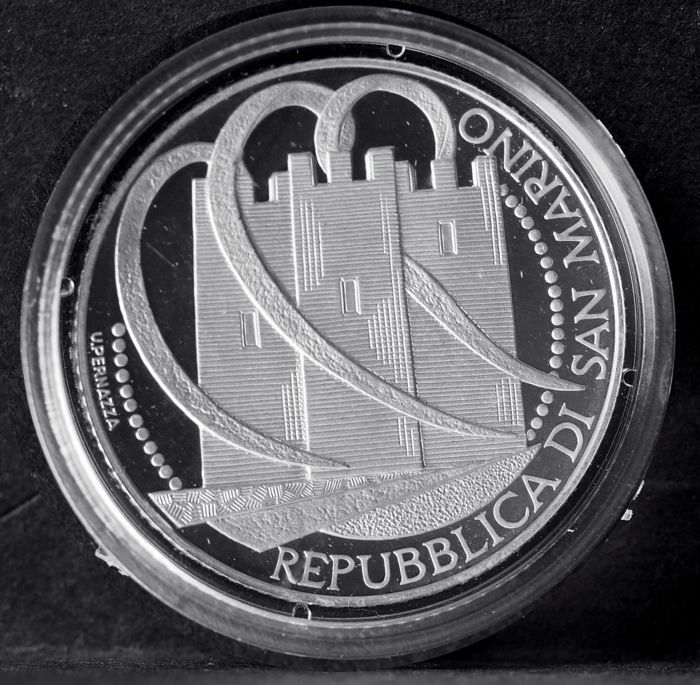 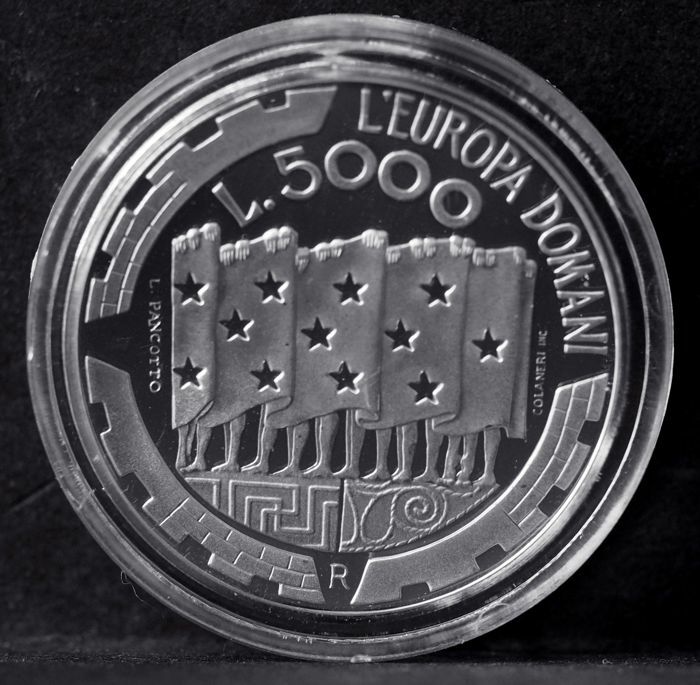 * 5,000 Lire 1999: The Europe of Tomorrow - San Marino as pillar - With warranty certificate. 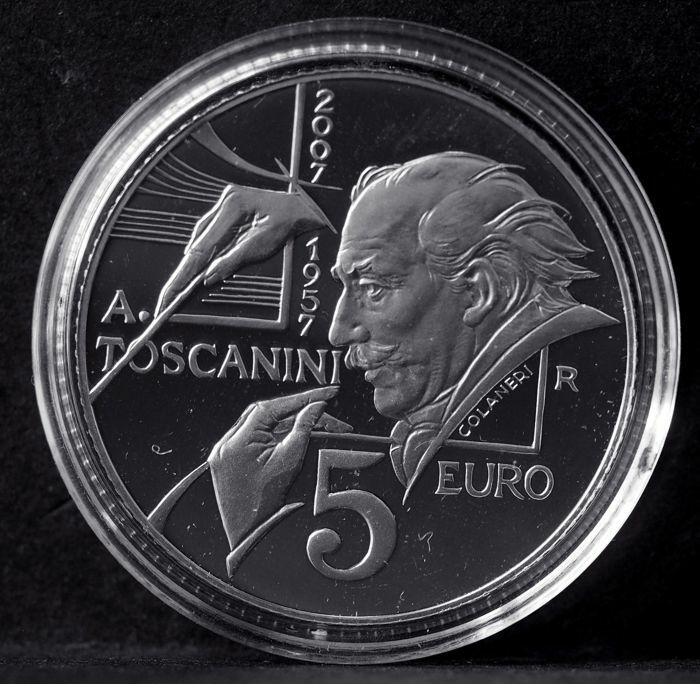 The 5,000 Lire and 5 Euro coins have a weight of 18 grams, with a grade of 835/1000. 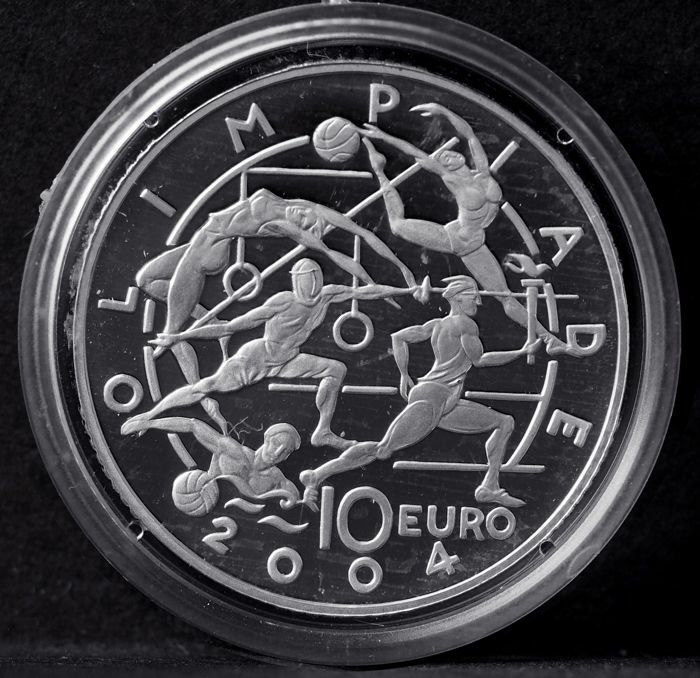 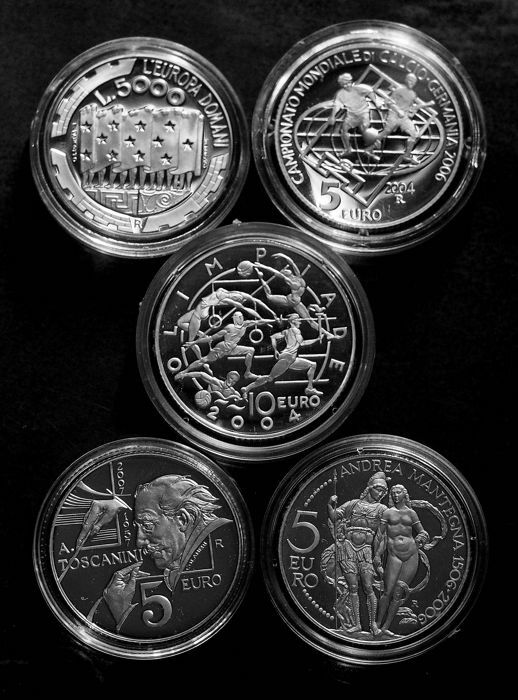 The 10 Euro coins weigh 22 grams, and they also have an 835/1000 grade. 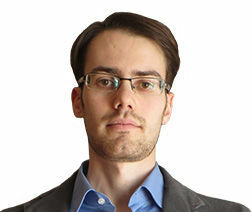 Goede en snelle afhandeling en een prettige verassing er bij. 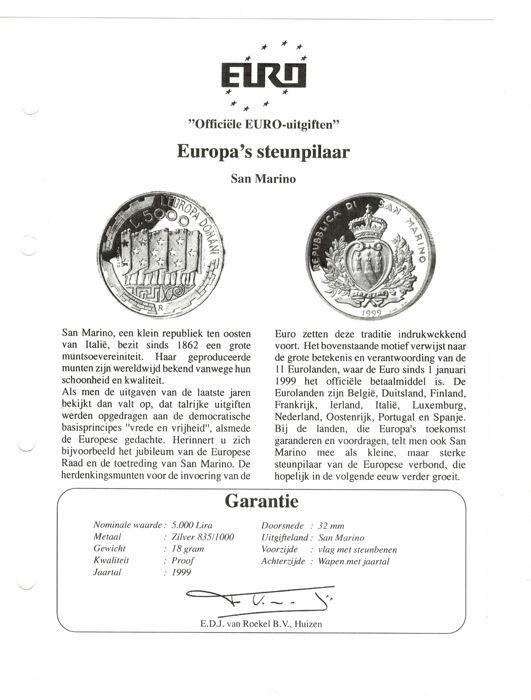 Goed zaken doen.